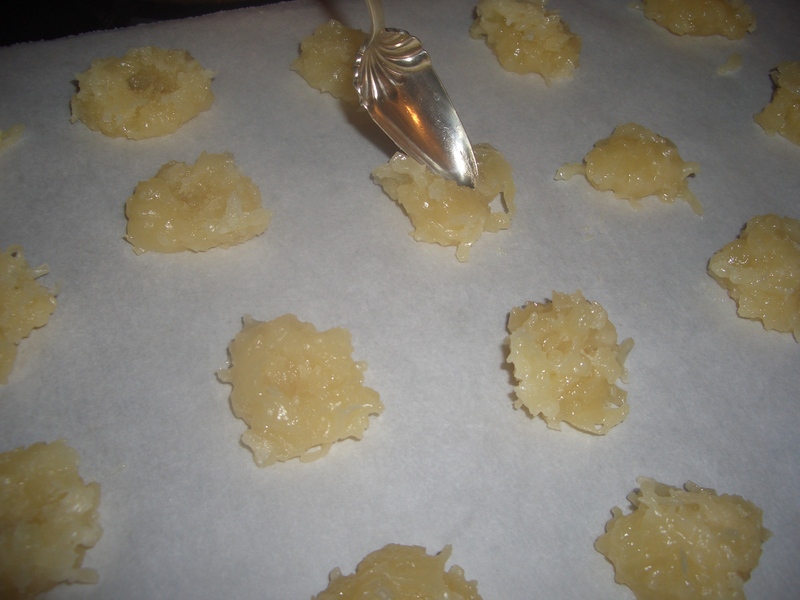 I’ve been making these macaroons for about a billion years (okay, slight exaggeration). I found the recipe in one of those cookbook/pamphlets that you could send a dollar to the company and they send the booklet to you. 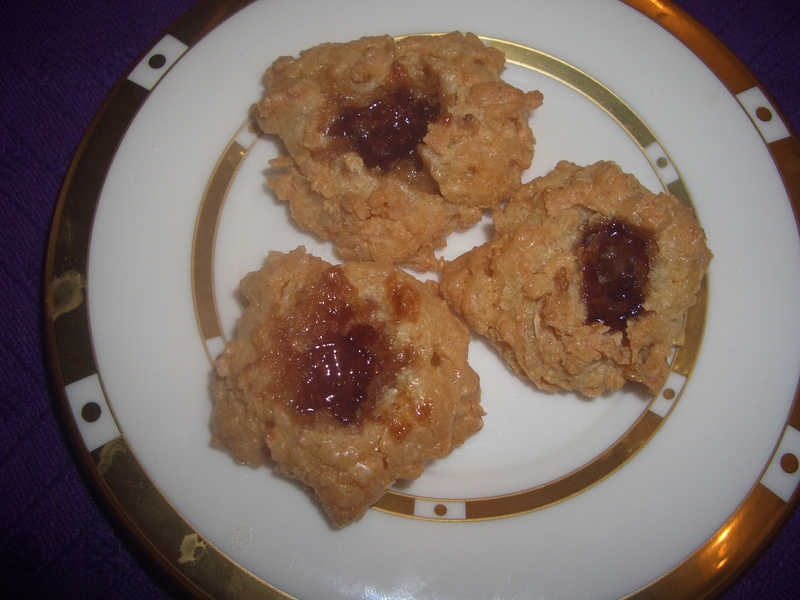 This one was from Baker’s and it was chocolate and coconut recipes. I don’t think I own the booklet anymore, but I liked the recipe so much that I copied it (by hand because in those days you had to go to a store to make copies) into a blank book that now contains most of my favorite recipes from various (non-online) sources. 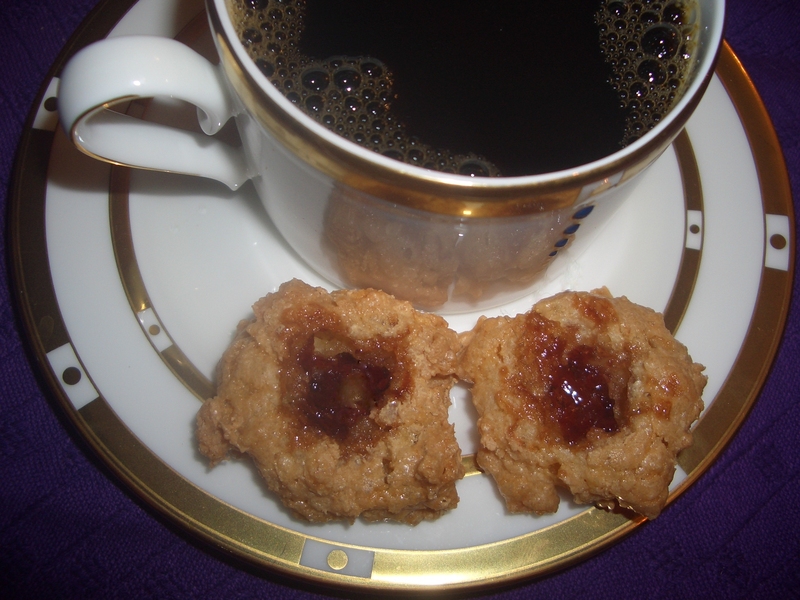 There is no doubt that these are very sweet cookies. 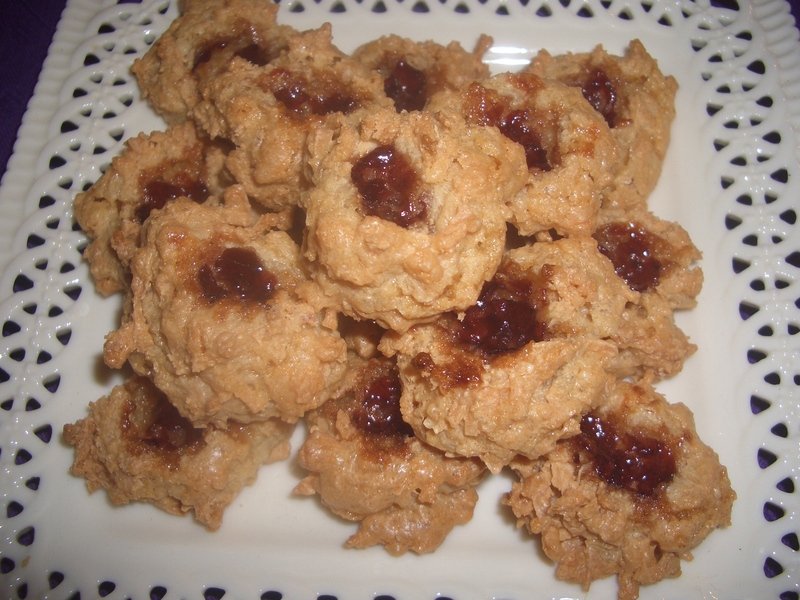 If you are one of the “I don’t like stuff too sweet” people, skip this recipe but forward it to anyone you know who adore sweets. Needless to say, these are perfect for Passover. 1. 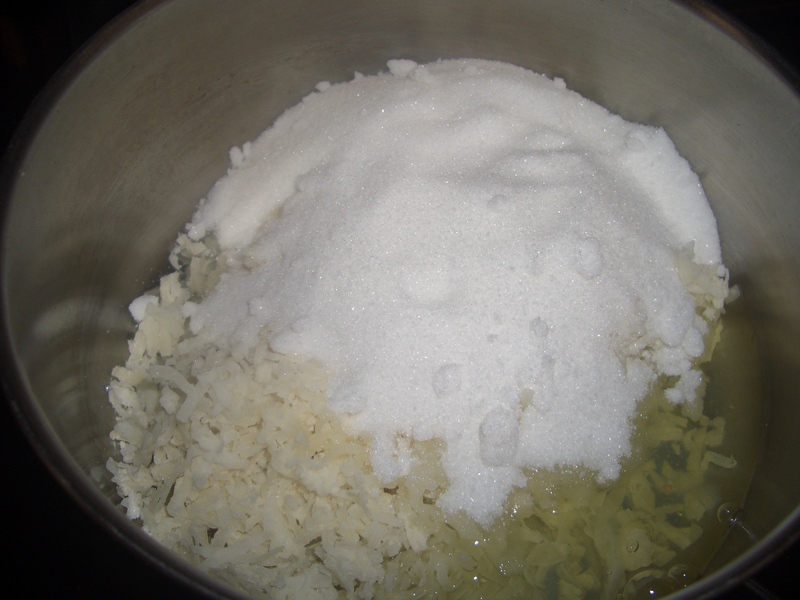 In a 1 1/2 quart saucepan, stir together the coconut, sugar, and egg whites. 2. 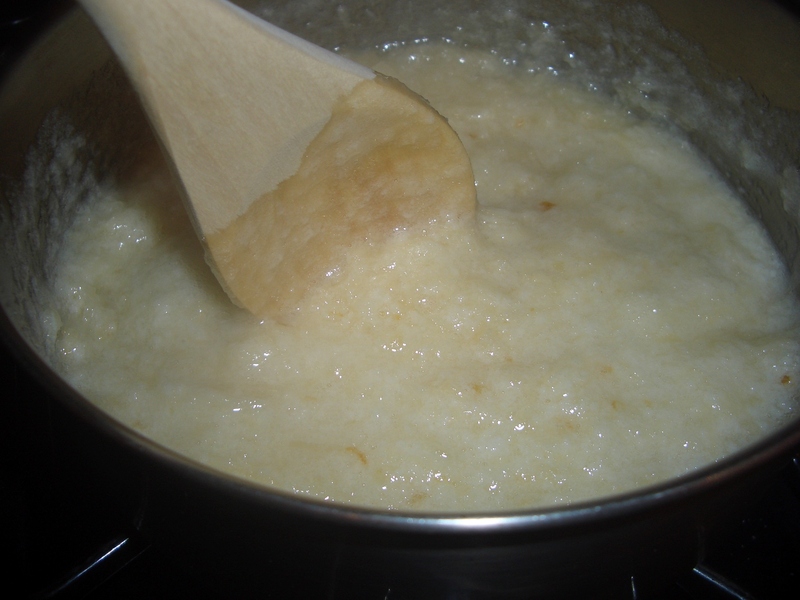 Cook over medium heat, stirring constantly, until the sugar melts. 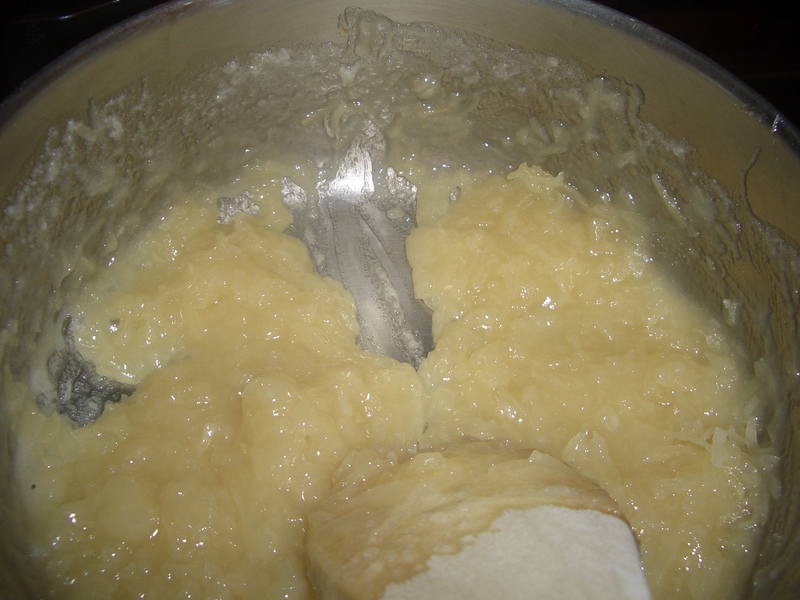 Continue cooking , stirring frequently as mixture thickens. 3. 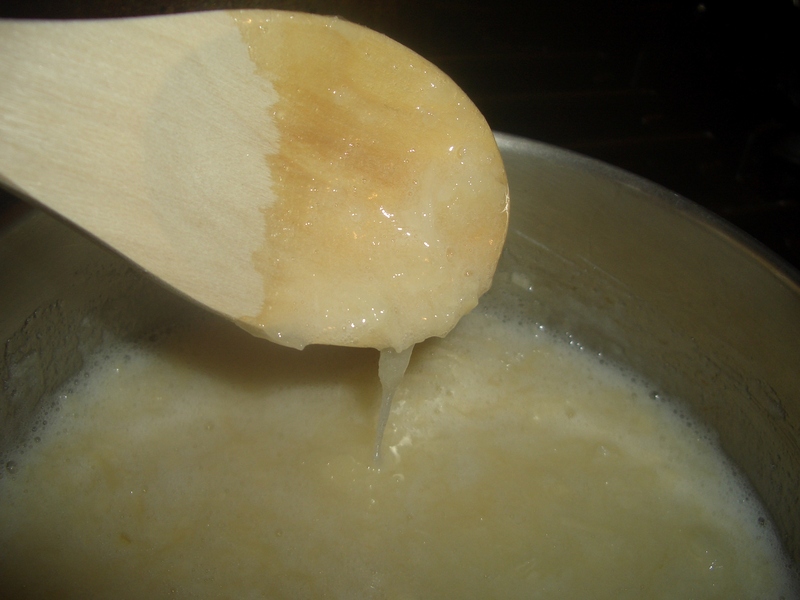 Continue cooking, stirring constantly until mixture remains separated when a spoon is drawn through it (about 10 to 12 minutes). Stir in the extract. 4. Preheat oven to 300°F. 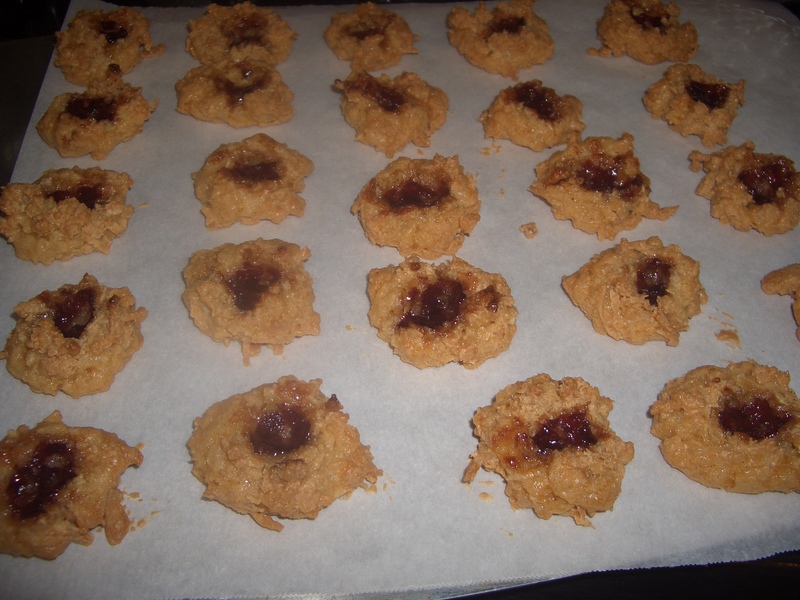 Line a large baking pan with parchment paper (or grease and flour with gluten-free oat flour or matzoh meal).Drop the coconut mixture by rounded teaspoonsful onto the prepared pan, leaving about 1-inch between cookies. Let stand 5 minutes. 5. 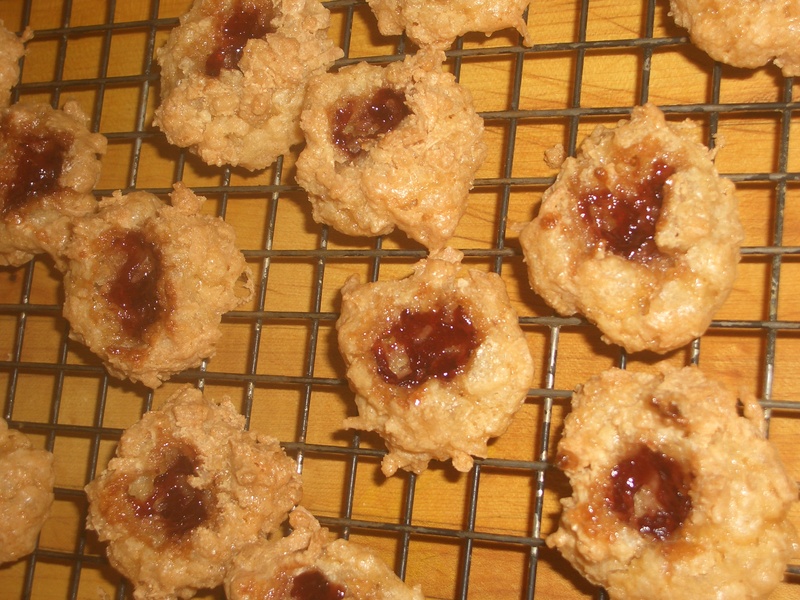 Using the back of a spoon or your thumb, press and indentation into the top of the “cookies”. 6. 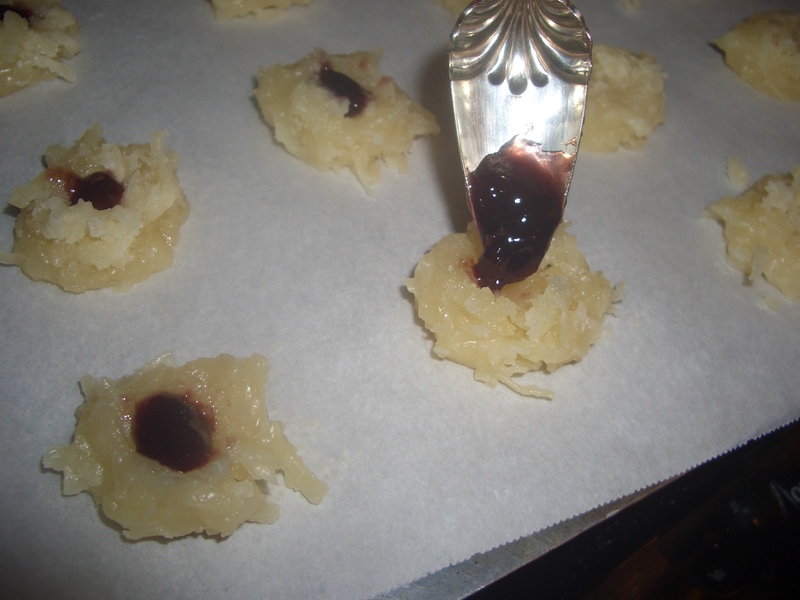 Drop about 1/4 to 1/2 teaspoon of jam into the indentation. 6. Bake 20 to 25 minutes or until browned. 7. Remove from oven and let stand 1 minute. Remove from pan and cool on racks.